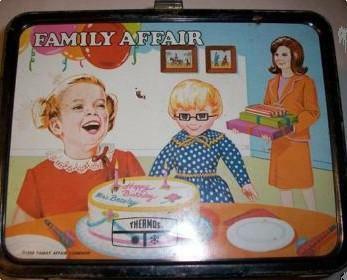 A Family Affair 1969 vintage lunchbox. 1969 vintage metal lunchbox of the '60s family show, A Family Affair.. Wallpaper and background images in the Lunch Boxes club tagged: a family affair vintage lunchbox lunchboxes photo. What a trip down memory lane! Cissy, Buffy and Mrs. Beasley!